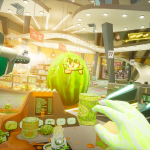 Check out some new screen shots and the launch trailer for nDreams' new virtual reality shooter Shooty Fruity available right now. 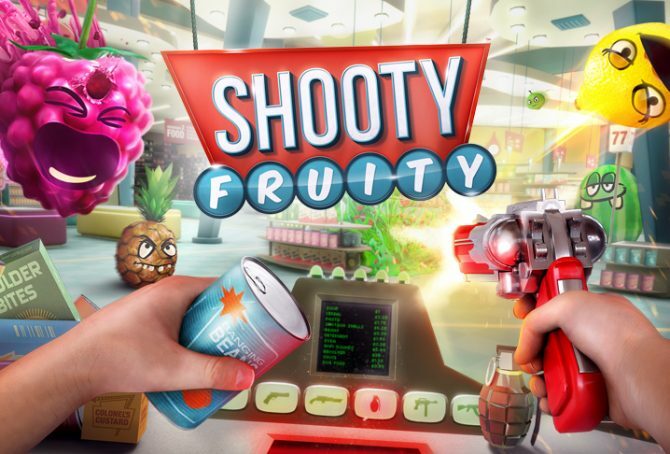 UK developer and publisher nDreams’ virtual reality title Shooty Fruity is available now on PlayStation VR, HTC Vive, and Oculus Rift for $19.99. 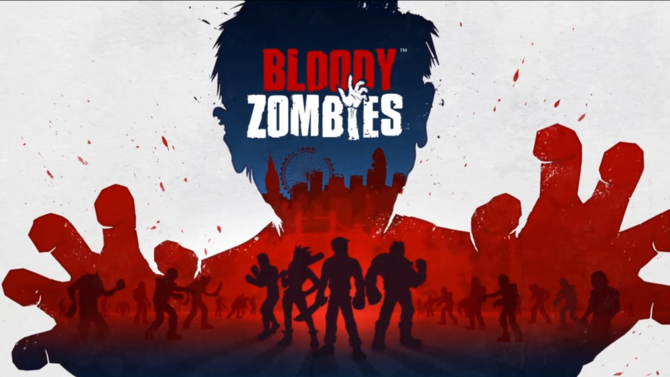 To celebrate its release, a new trailer along with some new screenshots were revealed flaunting its frenetic gameplay. 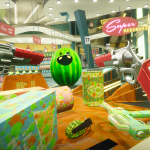 Regularly described as a fusion between Job Simulator and a shooting gallery, Shooty Fruity will have you play as a Super Megamart employee as you perform three different jobs — which include store clerk, food server, and warehouse packager — as deadly mutant fruit attack you in the process. 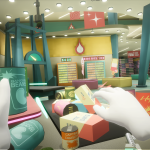 You will have to scan, serve, and pack your way through your shift while shooting each of your seedy foes. 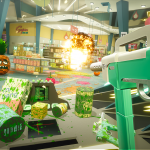 As you progress through your career, you will be able to purchase new weapons — including pistols, Gatling-guns, automatic shotguns, rocket launchers, and more — from the staff room and create custom load outs; you will be able to test each load out in the game’s central hub. 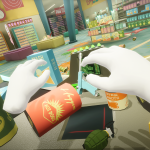 You will also be able to check out your high score through the leaderboard arcade machine. 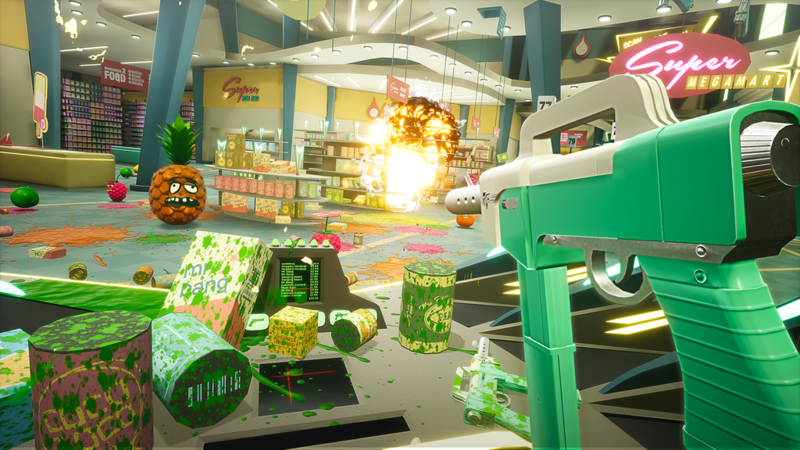 Shooty Fruity was announced back in August for the PlayStation VR. 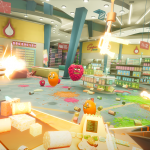 Earlier this month during the PlayStation Experience 2017 Opening Celebration, Sony revealed a few trailers, one of which boasted its colorful and fast-paced gameplay. 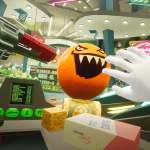 Shooty Fruity gets a brand new pair of trailers at PlayStation Experience, putting an exclamation point on the VR offerings.